Which of my products sell best? How many carts get abandoned? Know the revenue and net profit each product, category, customer, region, or marketing channel brings. Learn which products sell best, and bring the most profit, as well as which are often refunded, and which don't sell at all. See which customers have spent the most, which are the most loyal, and which receive the most refunds. Always be on top of how your business is doing, and how your ecommerce store is performing. Identifying possible problems or opportunities early on enables you to act timely and proactively. Get a good idea of how well your products are selling, and make better merchandising decisions. Learn who your customers are, and how they're buying, improve their shopping experience, and increase order amount and frequency. Get a deeper understanding of how your business is doing, and look at it from multiple perspectives. 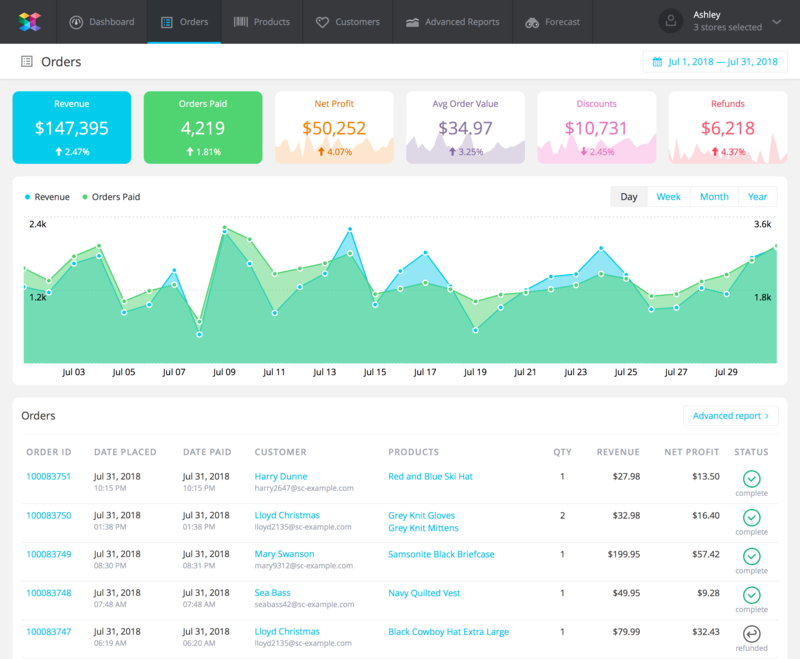 SavvyCube's advanced ecommerce reports let you see where your customers are coming from, how they use your website, and how they buy your products. 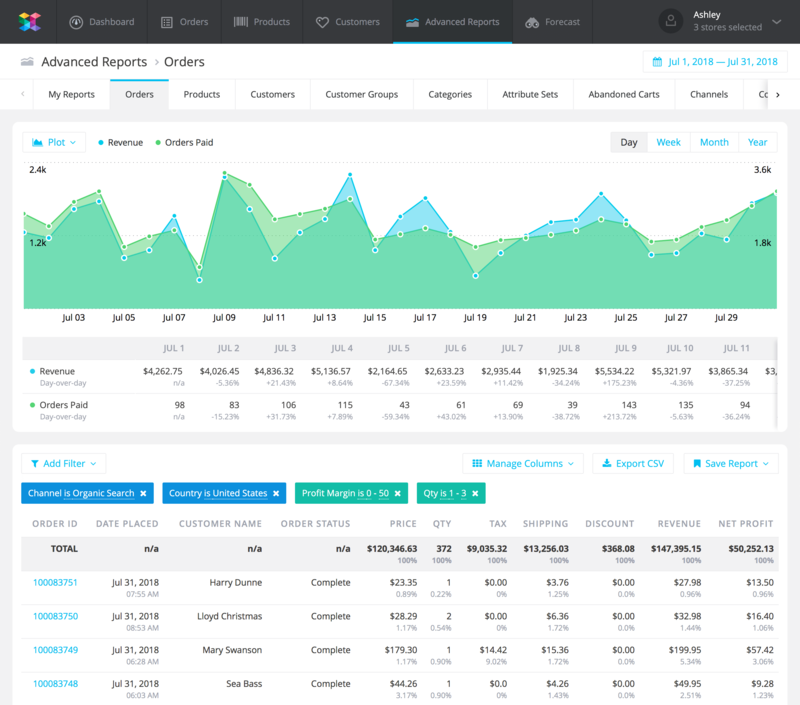 SavvyCube consolidates your data from Magento, Shopify, Google Analytics, and PayPal to give you a complete view of your business. 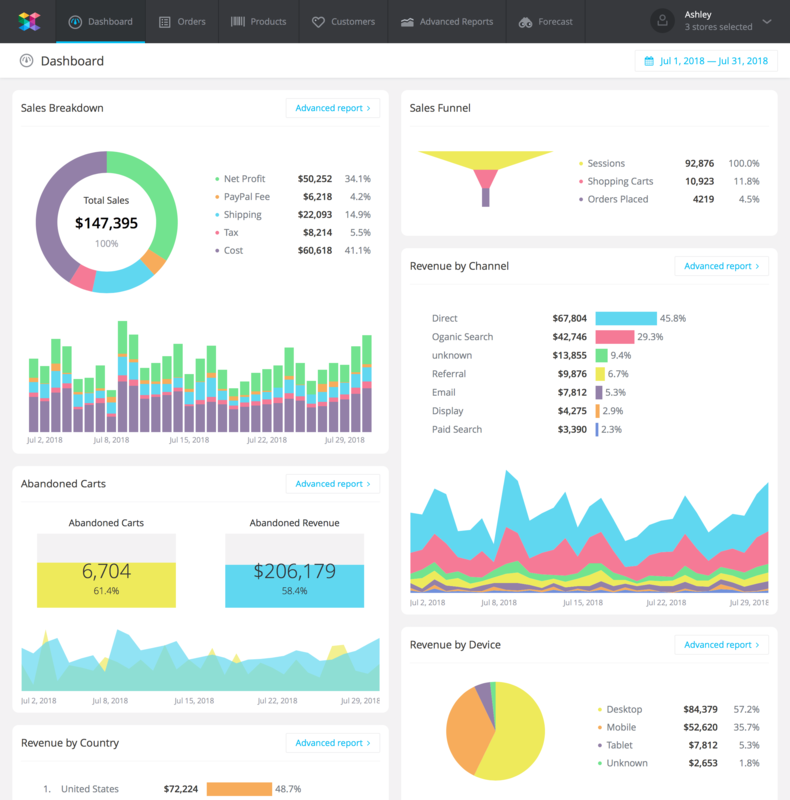 SavvyCube is an ecommerce analytics software that was developed by the team that runs MageWorx. Over the last eight years MageWorx has developed over 50 Magento and Shopify extensions that helped more than 30,000 store owners to grow their businesses.